Many food processors and packers have traditionally relied on belt conveyors to transport bulk and packaged products on their production lines, in part because low capital costs make these conveyors seem so affordable. However, when ongoing maintenance and sanitation costs are factored in, the affordability equation shifts in favour of other conveyor types. Add performance issues like gentle handling and throughput into the analysis and each food product and application points to its own ideal conveying solution. 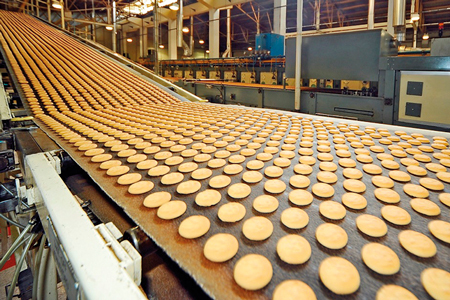 With the different types of conveyor systems that are suitable for foods—belt conveyors, vibratory conveyors, and horizontal motion conveyors—it is important to consider the strengths and weaknesses of each, for different food applications. 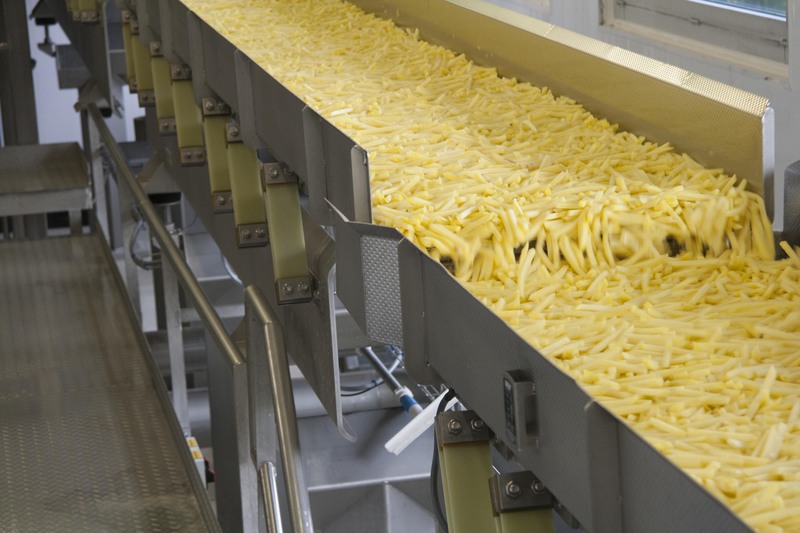 These include applications for a variety of products including fresh-cut and processed fruits and vegetables, potato products, salty and savoury snack foods, meats, seafood, and other food products as well as a range of applications from simple conveying to dewatering, fines removal, and more. Knowing these would help food processors and packers identify the most effective conveying solutions for their specific applications. Belt conveyors typically offer the lowest initial capital cost of all the conveying solutions, which contributes greatly to their popularity. But such a simple cost analysis is short-sighted because high maintenance and sanitation costs cause the total cost of ownership of a belt conveyor to quickly rise. Although the initial price tag for vibratory conveyors and horizontal motion conveyors is often US$8,000 to US$10,000 higher than that of belt conveyors, the larger upfront cost is quickly recovered because it can cost US$3,000 a year more to maintain and clean a belt conveyor. Keep a conveyor in operation for more than three years, and the vibratory or horizontal motion shakers usually cost less. Although a total cost of ownership analysis indicates that vibratory and horizontal motion conveyors are less expensive than belt conveyors in the long run, there are food applications that are best served with belt conveyors, warranting their use despite the higher cost. One of these is for applications that require significant changes in elevation. Vibratory shakers are effective if the required incline angle is 10 degrees or less but beyond 10 degrees, a belt conveyor is needed. Conveyors best handle large volumes of material with specialised belt conveyor called a “storeveyor”. In contrast, horizontal motion conveyors are perfect for many medium-capacity storage applications. For conveying packaged products, this can be done effectively with either a belt conveyor or a vibratory shaker. However, as the sanitation advantage of a vibratory shaker is less of a factor with packaged products, belt conveyor would therefore be the more appropriate solution for this application. With a range of plastic, fabric, and metal belt materials as well as conveyor geometries, belt conveyors can be designed for many food applications. However, the associated high maintenance costs and sanitation challenges often play down the advantages offered by them; vibratory shakers and horizontal motion conveyors may seem the preferred solutions for manufacturers. There are two main types of vibratory conveying systems—true natural frequency conveyors with mechanical drives and electromagnetic conveyors with electromagnetic drives. Both use frame-mounted drives and spring arm assemblies to distribute energy to the conveyor bed, producing a diagonal, harmonic motion that moves product forward. Traditional vibratory conveyors that use mechanical drives produce a high-amplitude, low-frequency movement. Electromagnetic shakers allow lower conveying pan amplitudes at higher frequencies to be varied, which make them ideal for lines that handle a wide variety of products or lines that require precise metering. Compared to belt conveyors, vibratory conveyors are inherently cleaner with stainless steel product zones and no belt to pulley/gear laminations. 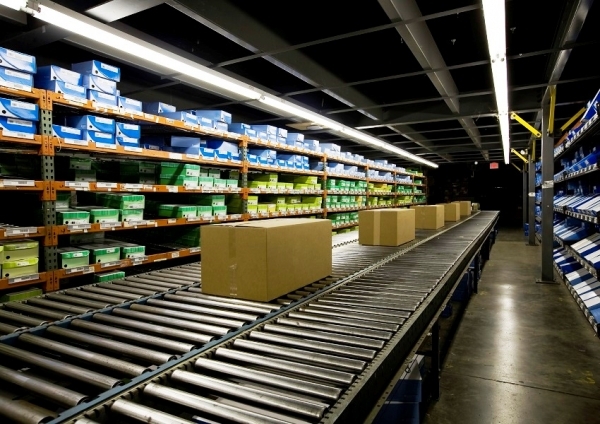 They also reduce maintenance, which results in a lower total cost of ownership over the life of the conveyor. Some newer vibratory shakers take low maintenance to the next level with drive systems that eliminate the need to lubricate or change oil. In addition to the aforementioned across-the-board benefits, there are specific applications that do particularly well with vibratory conveyors. Vibratory conveyors are ideal for dewatering, as the vibration releases the bond between surface moisture and product. Further, the water can be easily collected from a vibratory shaker, which allows a processor to recycle it. This dewatering application is ideal for a wide variety of potato products and produce such as green beans, carrots, leafy greens, and some fruits such as strawberries and blueberries. Vibratory conveyors also work well for product distribution on processing lines and packaging lines because gates can be easily opened and closed to divert product to multiple points. They can also work effectively for sizing, depending on the product. A multi-deck shaker is fitted with screens that allow product of a particular size to drop to the lower level. An operator can then quickly swap the screen to change the size. If the product is prone to blinding, another type of vibratory conveyor—a diverging bar grader—may be more ideal. Leafy greens are conveyed more effectively with vibratory shakers than with horizontal motion shakers because the product actually absorbs the energy of the shaker so the slight vertical lift of the vibratory conveyor helps move the product forward. With hand-sorting wine grapes and a wide range of other products, they also offer an adjustable speed control to display product evenly for thorough inspection. In addition, fines removal is handled well with either a vibratory conveyor or rotary-style sliver sizer remover. The rotary style remover is perfect for many round products such as tomatoes, where sliver shaped fines are created during the cutting process. Electromagnetic shakers that start and stop quickly are often ideal for scale feed applications where accurate metering to scales greatly enhances scale and bagger performance. Vibratory conveyors with mechanical drives and horizontal motion conveyors can also be used effectively in many scale feed applications, depending on the product. Finally, feeding a cutter or slicer where product orientation and singulating improves the effectiveness of the operation, is handled best with vibratory shakers. Horizontal motion conveyors offer the gentlest handling and the easiest sanitation of all conveyors types, and further adding to its advantages are the lower maintenance requirements that lead to a lower total cost of ownership than belt conveyors. 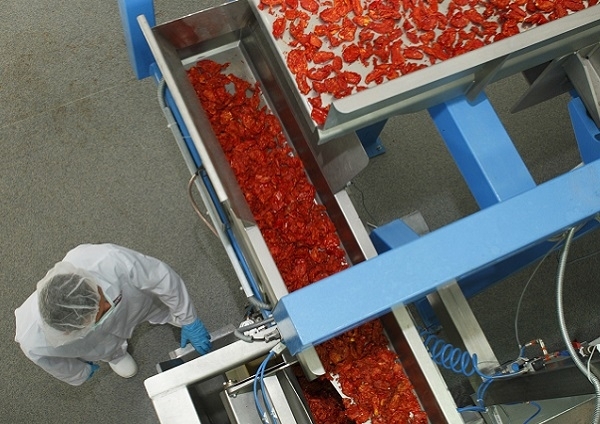 The gentle handling of horizontal motion conveyors reduces the loss of seasonings or coatings and the horizontal motion produces a continuous self-cleaning action that prevents the build-up of the seasonings and coatings. The sliding action of horizontal motion conveyors prevents mixing and size separation, making this conveyor ideal for premixed blends. Horizontal motion conveyors are perfect for some delicate products when high throughput is not important. 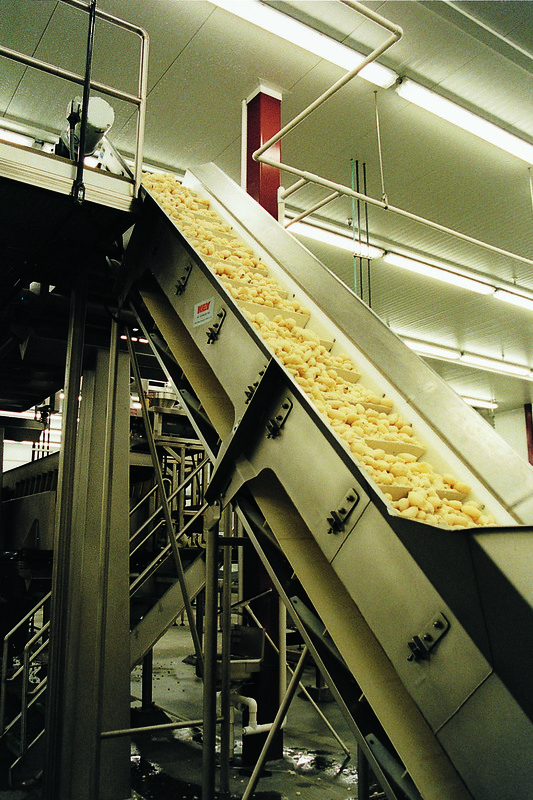 Whole potatoes, which bruise easily, and many snack foods are handled well with horizontal motion when they are not loaded too deep into the conveyor bed. 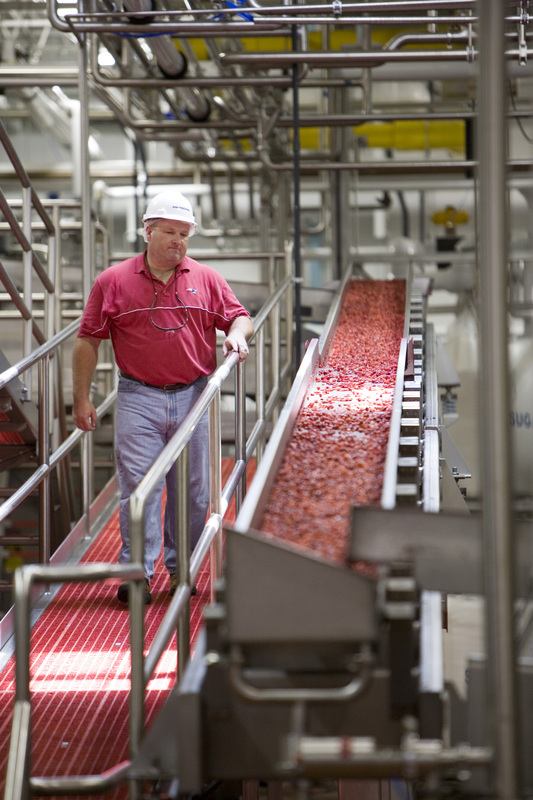 This gentle handling advantage must be considered on a product-by-product basis because many seemingly delicate products such as blueberries are handled well with vibratory conveyors and other products like leafy greens are actually handled better with vibratory conveyors. 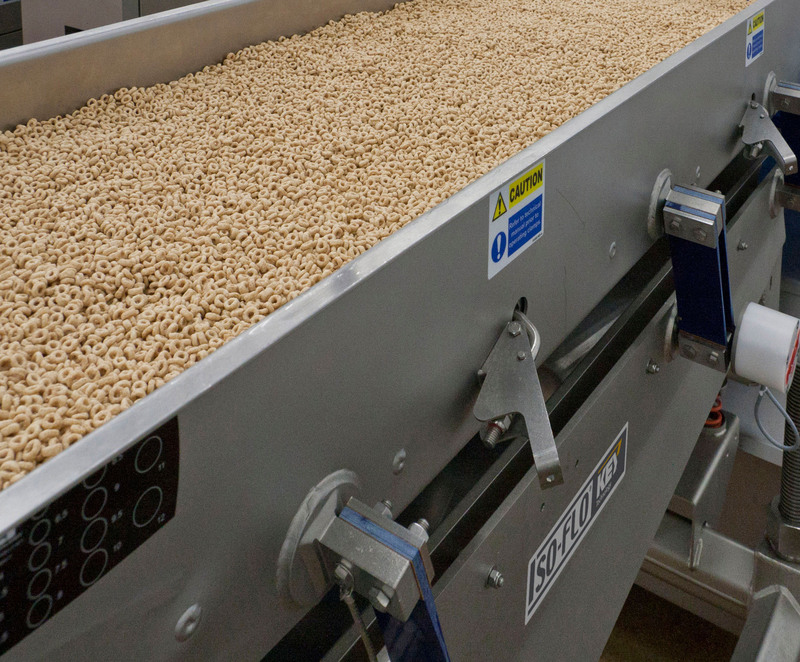 For products that have no flat sides to scuff along the bed of conveyor, like baby whole carrots or nuts, horizontal motion conveyors work well. Throughput that can be achieved with higher-speed vibratory shakers can be matched on horizontal motion shakers by increasing the depth of the product flow. Unlike vibratory conveyors, some horizontal motion conveyors can reverse product flow, which increases the flexibility of the line and provides some storage capacity. Although the noise of a horizontal motion conveyor drive is similar to that of the traditional vibratory conveyor drive, some products such as frozen meat, poultry, or seafood that would make a drumming noise on vibratory shakers will run more quietly on horizontal motion shakers. That said, electromagnetic drives are the most quiet of all, so if product drumming is not an issue, an electromagnetic vibratory shaker will be the quietest solution. Because horizontal motion conveyors can be heavily loaded, they provide some bulk storage capacity on the production line when conveying product in which damage may not be a factor. To select the ideal conveyor for each situation, food processors and packers should take into account a wide variety of factors from costs to performance issues. To determine the total cost of the conveyor system, start with the initial capital cost plus the cost of installation and add the projected annual maintenance and sanitation costs over the anticipated life of the equipment. A long-term view such as this highlights the relative affordability of vibratory and horizontal motion shakers over belt conveyors. Selecting equipment that lasts longer also saves the time it takes to make subsequent purchase decisions and install replacement equipment. Beyond costs, the strengths and weaknesses of each conveyor type should be considered on top of the specific applications in which one particular type of conveyor excels. 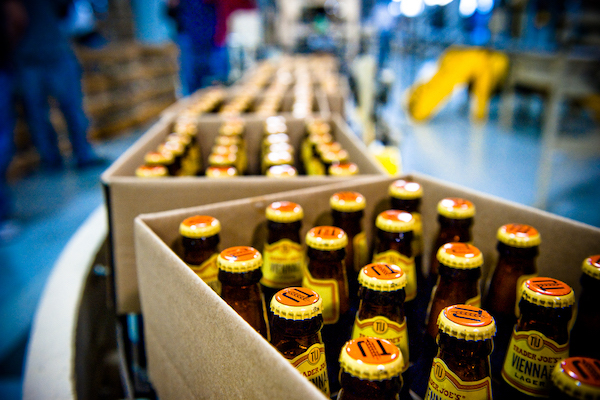 The benefits of each type of conveyor must be judged on a product-by-product basis. 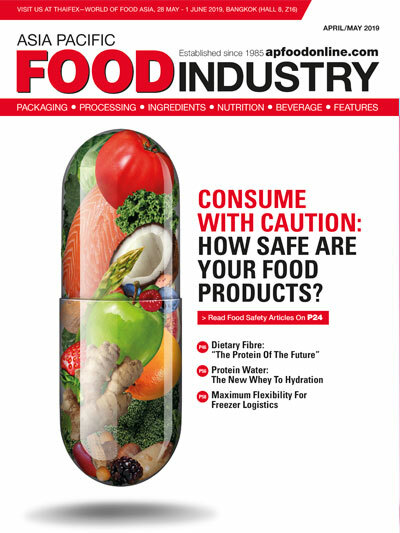 To help navigate this complicated analysis, processors and packers should consider working with an equipment supplier that offers expertise in the food processing industry and provides a full range of conveying solutions to choose from. With a deep and broad knowledge base, this supplier could be a valuable resource in identifying the ideal conveying solutions that create competitive advantages by improving the performance on the production line.